Weleda Calendula Weather Protection Cream is a rich balm which protects delicate faces against harsh weather. Organic almond oil and skin friendly lanolin nourish dry skin, forming a natural protective barrier. Organic calendula extract helps to soothe the skin. Even for sensitive adult skin. This rich, water-free balm provides intensive protection against drying winds or cold, wet weather, for babies and all the family. Calendula Weather Protection Cream forms a natural protective barrier to nourish dry skin. Also great for sensitive adult skin. Weleda baby products care for your child's skin from the very first day with natural ingredients. The mild formulations developed in collaboration with midwives, are specially formulated to care for baby and infant skin. Weleda products provide comfort and promote the development of healthy looking skin. Suitable for vegetarians. 100% natural and contains 74% natural ingredients. Gently apply a small amount on your baby’s face. Dermatologically proven to be very skin friendly, even on sensitive skin. 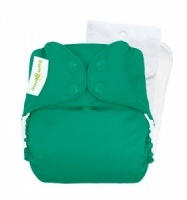 Great for protecting the skin when weaning and also good for hands and ideal for chapped lips. This unique cream is not exactly a lotion or a nappy balm so it was difficult to know which category of products it should be tested with. In the end, we decided to test it with baby lotions. 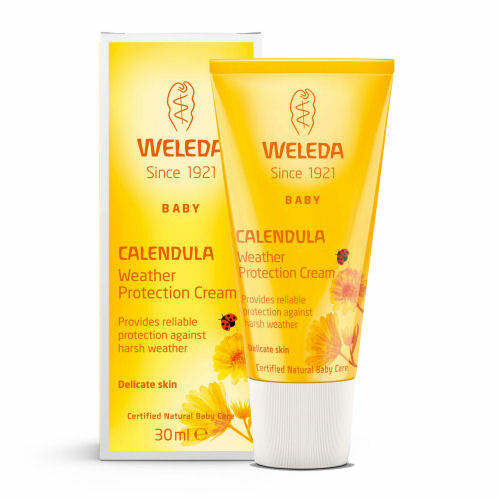 This is because Weleda Baby Calendula Weather Protection Cream provides a skin-friendly barrier protection which is especially useful in the winter months when chapped lips and wind-swept faces are all too common. The 100% natural formulation is based on sweet almond oil, hypoallergenic lanolin and beeswax, with the trademark scent of calendula flower. This product is obviously useful for chapped hands and lips, but testers found many other uses for this innovative rescue remedy, including sore noses and weather damaged cheeks. Parents suggested this would be great for winter trips and outdoor activities. In fact so handy was this product that testers voted it a ‘Must-have’ award. • This little tube was full of magic – what a lovely product! Weleda Baby Calendula Weather Protection CreamTIPS review:This unique cream is not exactly a lotion or a nappy balm so it was difficult to know which category of products it should be tested with. In the end, we decided to test it with baby lotions. This is because Weleda Baby Calendula Weather Protection Cream provides a skin-friendly barrier protection which is especially useful in the winter months when chapped lips and wind-swept faces are all too common. The 100% natural formulation is based on sweet almond oil, hypoallergenic lanolin and beeswax, with the trademark scent of calendula flower. This product is obviously useful for chapped hands and lips, but testers found many other uses for this innovative rescue remedy, including sore noses and weather damaged cheeks. Parents suggested this would be great for winter trips and outdoor activities. In fact so handy was this product that testers voted it a ‘Must-have’ award. Perfect choice to use this product,because is really protecting the skin.Smell is also lovely!I can highly recommend!